We’ve been talking a lot about fruits and vegetables lately. Maybe it’s a spring thing. Or maybe it was this book which we borrowed from the library last month. Anyway, it turns out that none of my kids had tasted a turnip before (or if they had, they couldn’t remember). We read the classic Ladybird book story of ‘The Enormous’ turnip and played out the story with a real turnip I had picked up and paper characters from this printable. I cut thin slices of fresh turnip to munch at morning tea which the children all declared tasted ‘quite nice’. Afterwards we made our own story puppets from the same printable I used earlier to practice story sequencing and story telling skills. One of our featured themes this month was about shapes and puzzles. I had a lot of fun preparing the various activities for this. I made a Tetris-like puzzle using Lego. I set up a Tangram activity tray with our Tangram puzzle set and these Tangram challenge cards. 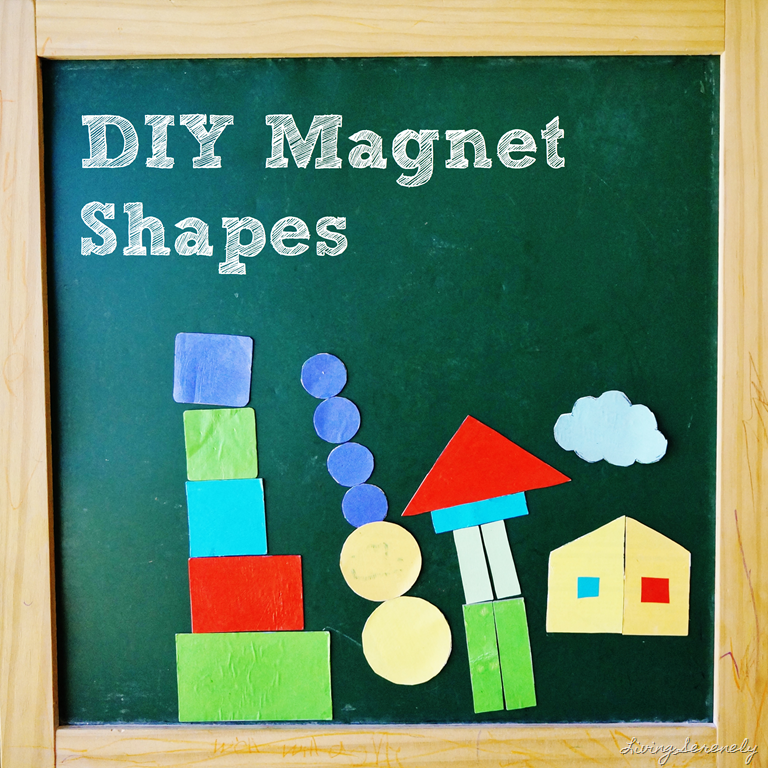 I set up a magnetic pattern block play invitation using this printable on magnetic A4 sheets and these pattern block picture cards. My favourite cooking activity and dish this month were this mini beef pot pies. I don’t have a particular recipe. Basically I just whipped up a basic minced beef filling. And then I set out a few sheets of shortcut pastry for the children to cut out shapes from to decorate their individual mini beef pot pies in ramekins (or you can use teacups). Pop everything into the oven for 15 minutes and lunch is served! Something cute I’ve added to our home corner and play kitchen area are these little cakes and ham & cheese sandwiches made from sponges and felt. The sponges are just regular kitchen sponges cut out in bread shapes for the sandwiches and triangle shapes for the cakes. I cut out the ‘cream’ for the cakes from white felt and added a pom-pom as a decorative cherry topping. The sandwich fillings were pink felt for the ham, yellow for cheese and green for the lettuce. If you enjoyed this post, you can check out last month’s roundup of activities and more of my other play and learning ideas. Stay tuned for next month’s roundup!